Huawei, the third-largest smartphone manufacturer in the world, wowed the world with the P20 Pro, the world’s first triple-rear-camera smartphone and it followed that with the launch of the Honor 10, an affordable phone with flagship specs and a mesmerizing color choice. With the announcement of the Honor 10 GT, let us compare the specifications, features and pricing differences of all the three devices mentioned to see where they stand. 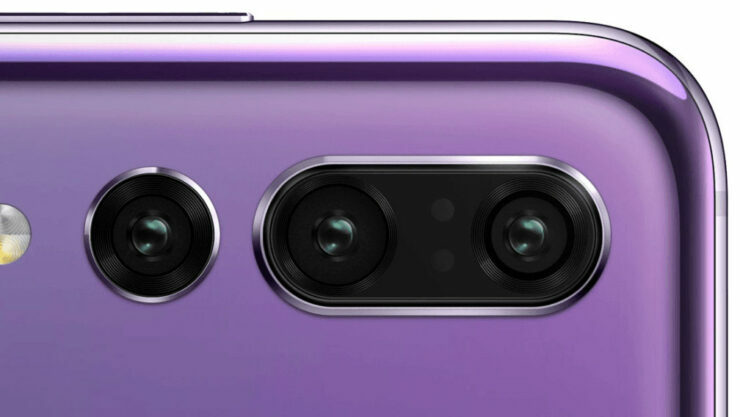 The P20 Pro, Honor 10 GT and the Honor 10 feature the notch at the top, followed by the chin at the bottom, which thankfully features a home button that also doubles as a fingerprint reader, thanks to sporting ultrasonic biometric technology. All three devices have a premium chassis as well as a glass back, but that does not mean any device will provide support for wireless charging. The P20 Pro is the only one with an AMOLED screen and its larger thanks to a 6.1-inch display, compared to the Honor 10 GT and Honor 10’s smaller 5.84-inch IPS LCD screen. Fortunately, the slightly taller display in comparison to the resolution of the Honor 10 GT and Honor 10 gives both of them an aspect ratio of 19:9 ratio compared to the 18.7:9 aspect ratio of the P20 Pro, which will reveal more content to you, but only just. The P20 Pro is running a resolution of 2,240 x 1,080, while the remaining two phones have a 2,280 x 1,080 resolution. However, thanks to the AMOLED screen of the P20 Pro, it will deal out better battery endurance, with a higher max. brightness level thanks to the superior display technology. This would also explain why the P20 Pro carries a higher price tag. In terms of processing, all three smartphones are featuring Huawei’s Kirin 970, but the reason why the Honor 10 GT will take the crown here, for a brief period has been detailed right below and before you ask, it is not just because the latter features 8GB of RAM, though that eventually becomes a contributing factor later on. The P20 Pro features 6GB of RAM with 128GB of non-expandable storage, while the regular Honor 10 comes with 4GB of RAM paired with 64GB of internal storage. There is also a 6GB RAM version of the Honor 10 that comes with 128GB of internal storage, but no device features expandable storage, and that is honestly a shame. Fortunately, what the Honor 10 GT and Honor 10 have, unfortunately, the P20 Pro is devoid of; a 3.5mm headphone jack. However, the P20 Pro features a bigger battery capacity at 4,000mAh compared to the smaller 3,400mAh cell present in the remaining two smartphones. Combine this large battery with the AMOLED screen and the P20 Pro will be able to showcase better battery performance, but naturally, this will depend on how much you stress the device each day. The Honor 10 GT is the only smartphone out of the three to provide support for Huawei’s GPU Turbo technology. The company does state that the remaining devices will start to get this update in the future, but since both of them feature the same SoC, it is clear that the presence of the update in the Honor 10 GT will give it an increased performance bump. If you want to know more in comprehensive detail what exactly is GPU Turbo and how can it possibly benefit Huawei’s devices, do read up our in-depth explanation here. It was very obvious right from the get-go which device would win the camera competition and you guessed it, its the P20 Pro. The smartphone features a triple 40MP (wide angle lens) + 20MP (monochrome or black & white lens) + 8MP (telephoto lens) and is the only smartphone right now that supports up to 3x optical zoom. It is also accompanied with hardware stabilization, or OIS, coupled with AIS, or Artificial Intelligence stabilization, which when combined with OIS, should reduce camera shake considerably when snapping images or recording video. The remaining two devices, the Honor 10 GT and the Honor 10 feature the same camera specs; a 16MP primary F/1.8 camera with a 24MP monochrome lens and support for electronic image stabilization, or EIS paired with AIS but sadly, OIS is not present. There is no optical zoom support for either of the two, so the P20 Pro wins in a dominating fashion in the camera category. However, all three smartphones pack the same 24MP selfie shooter. All three premium devices also provide support for Huawei’s fast-charge technology, where the battery can be charged up to 58 percent in just 30 minutes. It is also important to note that all three handsets do not provide support for wireless charging and while all three feature a Type-C USB port for accepting current, the P20 Pro utilizes the Type-C USB 3.1 standard, allowing for faster data transfers across the device. The remaining two smartphones are limited to the Type-C USB 2.0 standard. The Honor 10 GT’s pricing has not been unveiled, but it is expected to be a slightly more expensive variant of the Honor 10. The Honor 10 features a price of £399 in the UK for the base version (around $530.19 USD) and €399 in Europe for the same version (around $460 USD). The Honor 10 GT is expected to be more expensive than the regular Honor 10 thanks to featuring 8GB of RAM, along with the first device to get GPU Turbo support. However, the P20 Pro takes the cake in pricing, with its price in the U.S. for the unlocked dual-SIM variant being $829.99, where it competes with the likes of the Galaxy S9 Plus, the iPhone X, LG G7 ThinQ and HTC U12 Plus. You can check out a face-to-face specifications comparison in the table below, but we’d like to know your thoughts on which device stands out overall? Let us know down in the comments.